If you’re looking to update your home or another building, the materials you choose will make a huge difference. You want to opt for mediums that will stand the test of time in terms of both style and substance—like Venetian plaster. If you’re in the market for plastering services, here is some more information about this increasingly popular option. Venetian plaster is used to cover walls, ceilings, and other architectural surfaces. It creates a soft and natural look, since it comes in light, earthy colors and offers some surface variance. Made from natural materials, it’s been used to finish walls for thousands of years. Venetian plaster is made of limestone but without any aggregates included. The lime is mixed with water to form a putty-like substance, which is then spread over a wall. 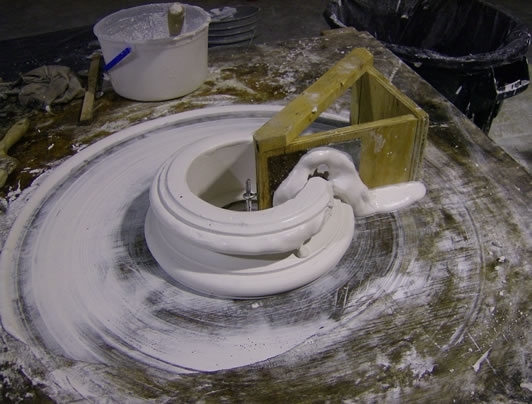 Once it dries, all the water from the mixture is reabsorbed into the air, leaving a pure limestone surface behind. Just like limestone, Venetian plaster is a very strong material. Plastering services professionals can easily patch or cover any imperfections by adding another layer of plaster. Since it’s been used for centuries, the style is timeless, which means you won’t need to invest in new decor every few years. If you’re interested in plastering services, contact the professionals at Old World Plastering in Cincinnati, OH. This plastering contractor offers a wide array of services from historic preservation to statue restoration. Whether you’re interested in finishing your walls with Venetian plaster or adding ornamental details to your space, call (513) 481-1122 or visit the company’s website to see a full list of their plastering services.